HOME INSPECTOR USA sets the standard for HOME INSPECTOR, COMMERCIAL INSPECTOR, MOLD INSPECTOR /ASSESSOR: The Villages, Lady Lake, Micanopy, Ocala, Orlando, Leesburg, Lake Panasoffkee, Inverness, Crystal River, Mount Dora, Eustis, Wildwood, Belleview, Clermont, Newberry & Gainesville Florida. 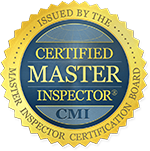 As a former General Contractor, Engineer, State Licensed Home Inspector and state Licensed Mold Assessor we have the knowledge and expertise to identify and document failed items, deficiencies, poor workmanship and malfunctioning equipment on a newly constructed house. While some inspectors experience and knowledge are in other field of expertise they attempt to get involve in warranty construction inspections with little or no knowledge of the trade. 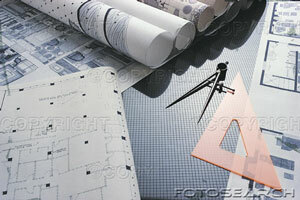 We specialize in all the phases of the construction trade. We are The Villages Home Warranty Inspection Inspector. Home Warranty inspections give the home owner one more shot to identify defects and issues after the first year of the house age and report those the builder before the one year is over. Normally it should be dome at the 11 month. The one year warranty expiration marks the final opportunity to identify, document and inform your builder of items that require repairs or adjustments. All safety hazards, repairs and adjustments shall be professionally documented before your builder is relieved of their responsibility under the one year warranty. As Builders' home warranties vary greatly, so it's important that homeowners take the time to learn what’s covered. Even with new homes, things can go wrong. That is why many buyers of newly built homes are interested in warranties, which promise to repair or replace certain elements of the home. Many home warranties are backed by the builder, while others are purchased by builders from independent companies that assume responsibility for specific claims. In other cases, homeowners purchase coverage from a third-party warranty company to supplement coverage provided by their builder. In fact, the Federal Housing Authority (FHA) and the Department of Veterans’ Affairs (VA) require builders to purchase a third-party warranty as a way to protect buyers of newly built homes with FHA or VA loans. The key to any of these warranties is to understand what’s covered, what’s not covered, how to make a claim and the process for resolving disputes that might arise between you and the builder or warranty provider. Most warranties for newly constructed homes offer limited coverage on workmanship and materials as they relate to components of the home, such as windows, siding, doors, roofs or plumbing, electrical and HVAC systems. Home Warranties typically provide coverage for one to two years, although the specific time period may vary by from component to component; coverage may last up to a decade on major structural elements. Warranties also routinely define how repairs will be made and by whom. • What does this warranty cover? • What is not covered by this warranty? • What’s the process or timeliness if I have a claim? 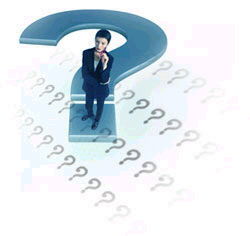 • Is it possible for me to dispute your decision to deny a claim? • What is the extent of your liability? • Can you refer me to other new home owners with whom you’ve worked so I can speak to them about warranty coverage? • Where are some of you previous projects so I can speak with owners there? 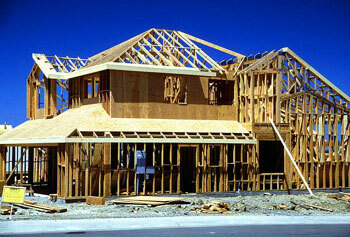 HOME INSPECTOR USA specializes in working with buyers of new homes whose one year warranty is coming to an end. Once you have your home inspected by our professional, licensed, and certified home inspection company and you receive our written report, you will have the knowledge and documentation to discuss any home problems with the quality of the materials or the workmanship with your Builder. Educated homeowners stand a better chance of getting the Builder to correct those items that need repair which is why 1-Year Builder Home Warranty Inspections are so important. HOME INSPECTOR USA sets the standard for HOME INSPECTOR and MOLD INSPECTOR in The Villages, Lady Lake, Leesburg, Mount Dora, Eustis, Summerfield, Ocala Newberry & Gainesville area. We are distinguished by our background in Engineering, Chemistry/Biology and Residential & Commercial construction and by our extensive theoretical experience with intricacies of structural & environmental issues. HOME INSPECTOR USA services the following counties: Sumter, Marion, Lake, Marion, Orange and Alachua. warranty inspection, warranty inspection the villages, warranty inspection ocala fl, one year warranty inspection the villages, warranty inspection mount dora, warranty inspections, warranty inspection leesburg, warranty inspector, mold inspector leesburg, warranty inspectionr gainesville, the villages warranty home inspector, mold inspector mount dora, mount dora mold inspector, gainesville warranty inspections, clermont warranty inspector, warranty inspector clermont, the villages home inspections, lady lake warranty inspection, mount dora mold inspector, lady lake warranty inspection, newberry warranty home inspector, Gainesville, Newberry, Micanopy, Ocala, Mount Dora, Clermont, Lady Lake, Eustis, Summerfield.